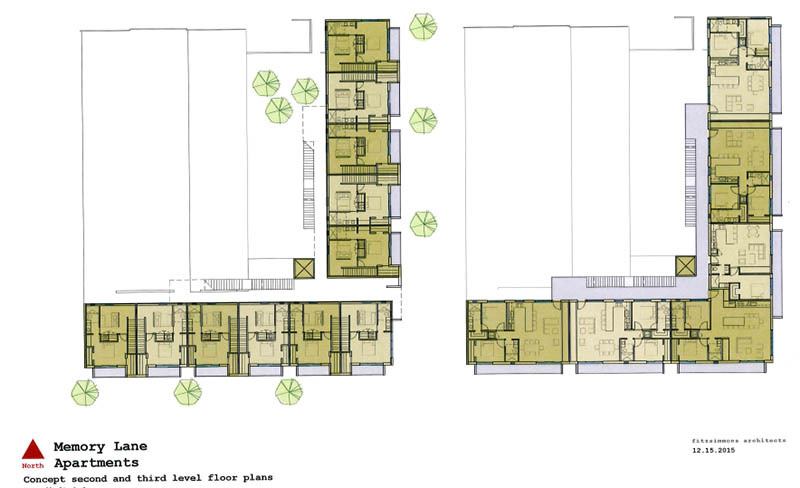 Once denied demolition by the Downtown Design Review Committee, Midtown Renaissance is once again seeking demolition of a board-up apartment building but this time have included conceptual plans for a new apartment complex that will take its place. 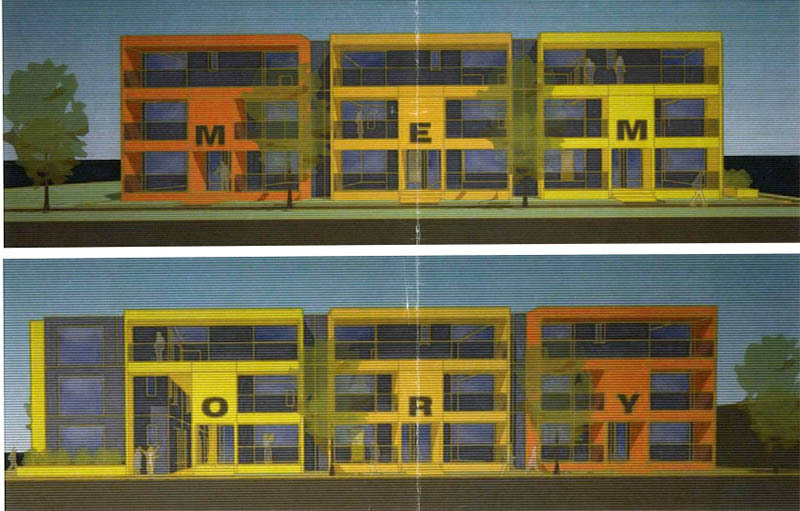 The new development would be called Memory Lane and consist of 17 units and 22 parking spaces -- half covered -- just north of Emerson School and south of Saint Anthony Hospital, in an area that is seeing a housing boom, mainly in contemporary single-family homes. Architect for the project is Brian Fitzsimmons. The committee will consider the demolition in its meeting on Thursday, January 21st. More positive infill for that area. I like it. What's the condition of the building? MidtownR saying it's in terrible shape but of course worse structures have been saved. BTW, the views from here will be awesome. Property sits up nice and high. Anybody know the history of the building? Built in 1925 and had 2 units. 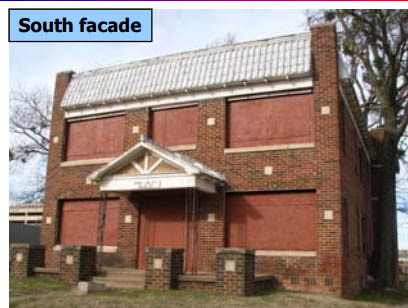 City staff has recommended approval of the demolition. The blurb of this on the main page uses the term "SoSA". If so, what other abbreviations have I missed? 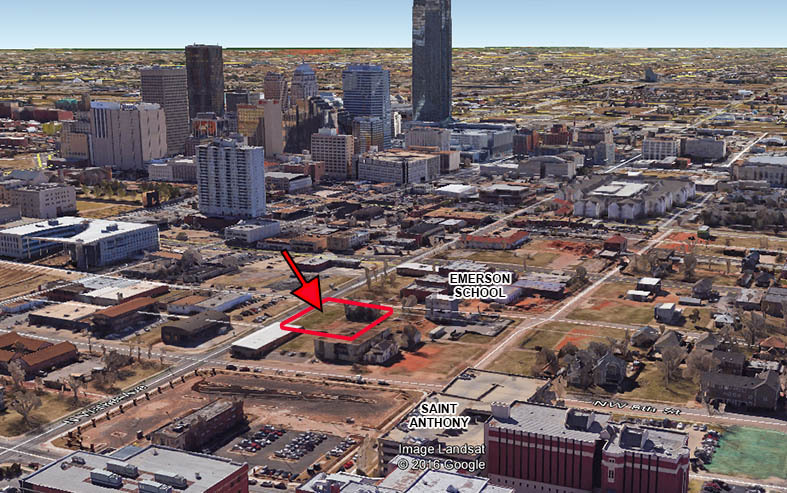 BTW, this was the one example I know of where the DDRC actually denied demolition. And really, that wasn't even true... They just continued the request several times and the applicant ultimately just withdrew their request. Do you know if the name has any particular significance? Great question! I was wondering the same thing. Memory Lane Apartments? Sounds cool anyway. I know there's a (real) Memory Lane off NW 50th street between Portland and Meridian. This project looks very nice. Chris Fleming, with Midtown Renaissance Group, said the apartment building, boarded up for years, is in worse condition. 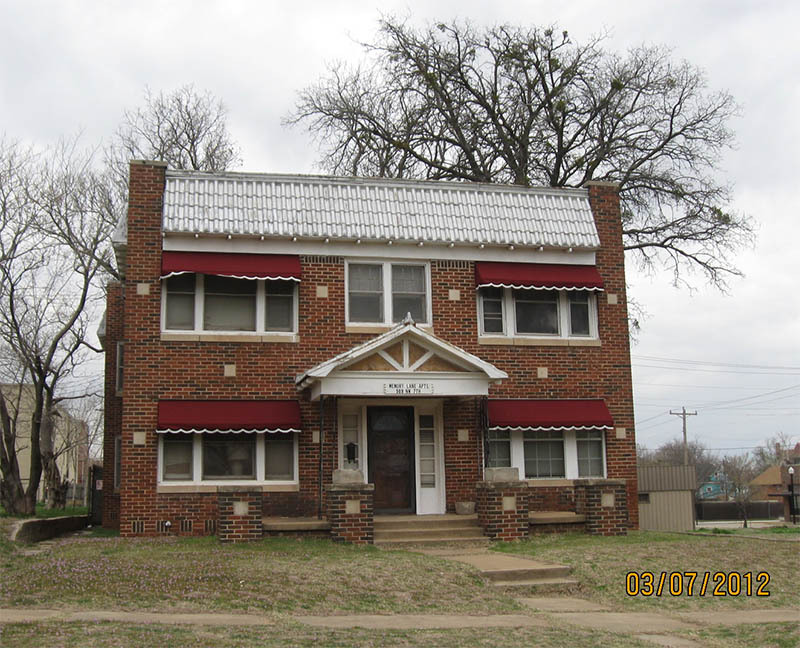 A staff report by the Oklahoma City Planning Department recommends approval following a review of economic feasibility of redevelopment. A report to the Downtown Design Review Committee, which will hear the case Thursday, indicates the building is structurally unsound, has black mold, rats and other infestation. The basement is filled with water and the rooms are filled with waste and debris left by vagrants. It's in a bad location. Surrounded by empty lots, not on a corner, etc. Maybe it can be moved? It's not a bad old bldg. I like the distinctive style of this project though. Obviously MidtownR knows its stuff. I would think that moving a structurally unsound building is unlikely. 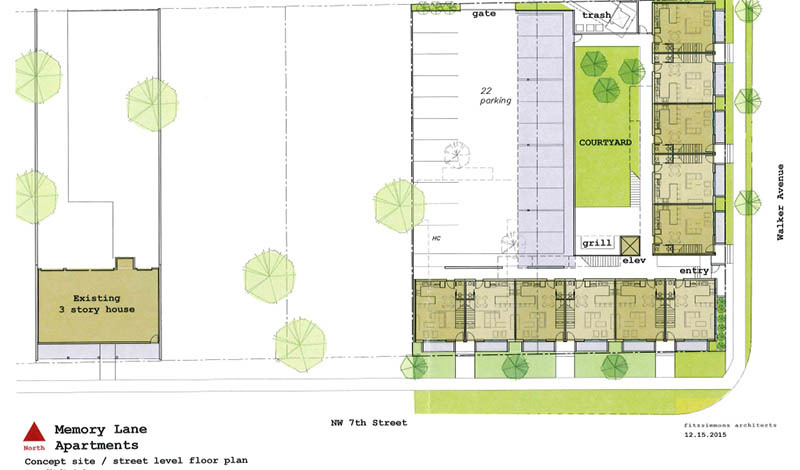 It would probably be less expensive to build an identical building elsewhere. It's not a bad looking building but I think the new construction outweighs trying to keep it in this instance. Enough that South Park mocked it viciously all season. In was a quadraplex. Structurally it could be salvaged, but it would need a total gut. It is an old flop house called memory lane. This is one of those situations where a landlord buys a property, completely neglects it, then eventually it's 'unsound'. When MidtownR bought the building in 2012, it was occupied and had been for a while. They subsequently boarded it up, attempted to get demolition approval which was not forthcoming, let it rot for a few years, and now claims it's beyond saving. Completely agree. First of all, no way is the building beyond saving. Recall that these are the same guys who did the Marion, which was in roughly 1000x worse shape. They proved this statement wrong before they even made it. Second, if it is tougher to rehab now than it was a mere three years ago, that is a man-made condition (SELF-made, to be more precise), probably intentional. I have tremendous respect for these guys, but that excuse is disingenuous. That said, the new development is clearly higher and better use, and totally justifies the demo request. The fact that there is pretty much zero surviving historic fabric remaining around it also makes the ask more compelling. I say this as a pretty outspoken HP advocate. I wish they would pitch the demo based on the obvious merits of the overall project rather than falling back on the "beyond saving" excuse. I love the project; just hate the way the demo is being sold. probably my age, but my first thought was "senior housing"
That would actually be the NO Memory Lane. The letters on the side would be C - R - S.
"Hit by earthquakes" -- first time I've heard that used for justification of demoing older buildings. I guess we should plan on hearing it a lot now. I highly doubt a few (even a lot) of 4.0s 30+ miles away have done much damage to this building. I want those big ol' trees saved as much as I would like to see the building saved! But they're probably gonners too. At what point to developers stop providing 2 parking spaces for every unit? Parking is NOT required by code in this area, so it's entirely up to the developer (and possibly the lender).